Product #60738 | SKU RODSC1-OB | 0.0 (no ratings yet) Thanks for your rating! Open box special - No packaging, perfect working condition. 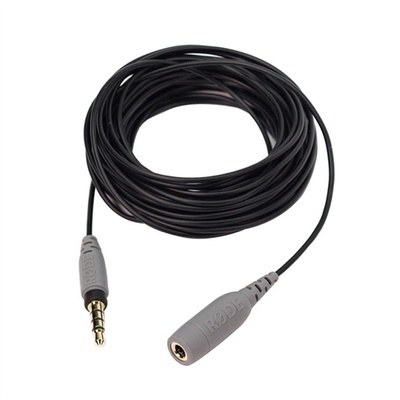 The Rode SC1 is a professional quality 6 m TRRS extension cable that can be used when paired with an optional SmartLav microphone to extend the actual capture range for applications using Smartphones, iPhones, iPads, tablets, and more (each sold separately). It features a male TRRS jack to a female TRRS plug.